Assessments collected since inception of $1,309,167 have leveraged nearly seven times that amount, or $9,134,820 in direct financial investment in district improvements. In addition, the BID has facilitated at least $71,947,390 in development, leveraging tax collections by a factor of 55. Details of these investments are available in this chart of historic leveraging 2018; they include the the Corky Gonzales Library, West End Lofts, mixed-use Mile High Vista project, and a host of commercial and residential buildings. Direct investment in district improvements include Over the Colfax Clover, West Colfax Connects, Colfax Green, GreenFAX and R-O-W improvements being undertaken by WCBID,the City of Denver of Denver and Xcel. Are you unable to get loans from banks because you are in a deteriorated neighborhood or an undercapitalized or new business? Would you qualify as minority-owned or short on capital? New funding is now available to Denver’s Westside! Business tenants can borrow! Real estate is not required as collateral. The West Colfax Business Improvement District and the leading not-for-profit lender in Colorado, the Colorado Enterprise Fund, are teaming up to provide small businesses the funding they need to thrive in a competitive economy. Our goals are to revitalize Westside commercial corridors and bring job opportunities to area residents. Stop by the BID’s office at 3275 W 14th #202 or call Dan Shah at 303-623-3232 for more information or to apply. Technical assistance to help you make a successful application is available at no charge. Eligible purposes. Finance new or upgraded equipment purchases, façade improvements, and tenant improvements, property purchases, as well as working capital. Underwriting. More flexible than bank products, through a process more streamlined than the city, and accepting higher risk loans. Loan size/term. Between $3000-$50,000, with most between $10,000 and $15,000. Terms of up to four years. The Lake Steam Baths at 3450 W Colfax completed installing a solar thermal array, with financing and contracting assistance from the district. 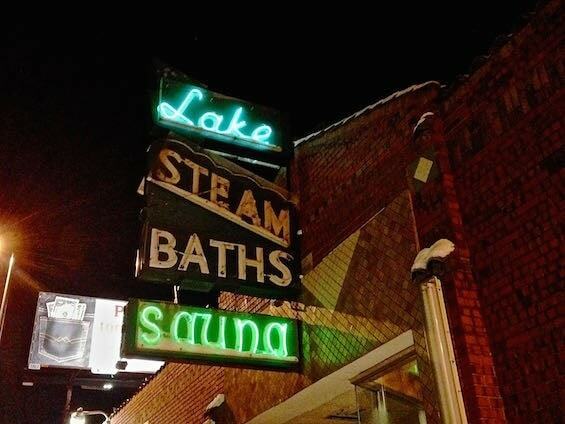 Between the financing and savings on its gas bill, the Steam Baths is saving $500 per month, and reduce annual carbon emissions by 16.1 metric tons, equivalent to taking 3 cars off the road. The owner Hannon Hymen calls the system “awesome” and is excited to be “going green”. To finalize financing for the project, WCBID obtained a Federal “payment in lieu of taxes” for Lake that paid for one-third of the cost of the project. 1. New Markets Tax Credits are available to the entire West Colfax corridor for commercial development. Please contact the BID for more information about this important incentive to investment. 2. Low-income Housing Tax Credits. See map of qualified low-income housing census tracks in West Colfax. The BID and its partners Councilman Garcia and Del Norte are advocating to include the entire neighborhood of West Colfax as qualified for the extra bonus available from this designation. Contact the Colorado Housing Finance Agency for more information. A health insurance tax credit at $1,000 per employee for whom the business pays > 50% of health insurance costs for a period of 2 years.